If you have a concrete sidewalk that is cracked or uneven, it not only looks bad, but it can lead to a fall or serious injury. The good news is the concrete does not have to be torn out and poured again to fix the problem. Texas Concrete & Foundation Repair can raise your sinking sidewalk and prevent it from sinking further. With PolyLevel® concrete lifting, we can make your sidewalk level again in just 15 minutes! If you have a sunken walkway or sidewalk, contact us today to request a free estimate for concrete leveling in Austin, Round Rock, Waco or nearby. Walkways and sidewalks are exposed to a lot of wear and tear. When the soil supporting the concrete becomes weak, the concrete can crack and sink. There are many things that can create a void beneath the slab, such as erosion from rainwater or gutter runoff, or a tree root that has rotted over time. Dirt fill underneath the slab that has not been well compacted can also create voids beneath the concrete. Regardless of what’s caused your sidewalk to sink, we can fix it! Some areas require home and business owners to maintain the sidewalks adjoining their property. If someone trips and falls on the sidewalk in front of your home, you might be liable. It’s important to check your town or city’s sidewalk regulations. Contact the concrete repair specialists at Texas Concrete & Foundation Repair today to get a free estimate to raise your sunken sidewalk. 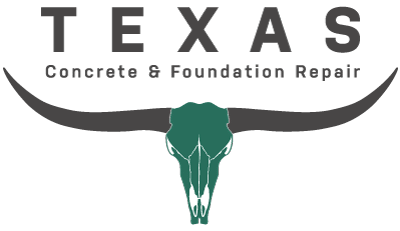 We offer concrete lifting and leveling services in Austin, Round Rock, Waco, Fredericksburg, Cedar Creek, Georgetown, Killeen, Pflugerville, College Station, Temple and nearby.